The risk of asbestos exposure in Boston and throughout the country is not simply a thing of the past. While it’s true that many industries and manufacturers have begun to shy away from using the deadly compound due to the enormous legal liabilities, the material remains to this day in countless government, commercial and residential structures throughout the country. For the most part, its presence doesn’t cause a major problem – so long as it’s not disturbed. Problems arise, however, when demolition or renovation occurs. When dry asbestos fibers are disturbed, they are friable, flake and form plumes of dust. These dust clouds can be deadly when inhaled, though those exposed won’t know it until many years later. Mesothelioma and asbestosis, the deadly diseases resulting from asbestos exposure, don’t reveal themselves for decades after exposure. This is why the U.S. Environmental Protection Agency has put strict guidelines in place requiring trained professional contractors be hired in order to ensure proper and safe removal of the material before additional work can be carried out. This protects workers as well as residents and the greater public. But the EPA says despite its efforts to crack down on contractors and commercial property owners who flout the law by taking asbestos removal shortcuts, such violations continue to be a major problem. Unlicensed workers are hired. 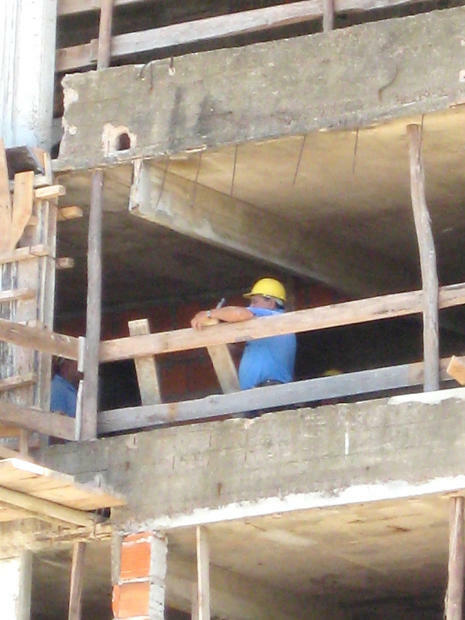 In some cases, these workers are day laborers who may not speak English and have no idea they are being put in harm’s way. In addition to being untrained for proper disposal, they aren’t given the right respiratory protective gear that could shield them from exposure. It saves the property owner and/or contractor lots of money, but it creates a serious health risk to the workers and the public. In Massachusetts, a heating contractor from Plainville is accused of illegally removing asbestos from a rental residence in Medway occupied by a family with small children, and then subsequently attempting to bully the residents into not testifying against him. His trial is slated for Nov. 18. The property owner is facing charges as well. Specifically, the pair are accused of violating the Massachusetts Clean Air Act for failing to file a notice of asbestos removal with the Massachusetts Department of Environmental Protection, as well as failure to prevent asbestos emissions. Cases like this are not uncommon. Similar cases are being prosecuted throughout the country. A spokesman for the EPA says he is seeing more of these kinds of cases nationwide. The goal, he said, is not to make the work unaffordable or to put these companies out-of-business. Rather, he said, the playing field must be even. A company that hires cheap, unlicensed contractors to do the work is obviously going to be able to charge less than a company that goes the extra mile to properly remove the material. The bigger issue, though, is that the safety risk incurred by not doing the work properly is too high a price for all of us to pay.